As Lucy Kincheloe, an astronaut married to another astronaut and a mother of two young children, prepares to achieve her dream of space flight aboard the shuttle, her personal life begins to unravel. In this magical novel written and illustrated by Brian Selznick, 12-year-old Hugo is an orphan, clock-keeper and petty thief living within the walls of a Paris train station in 1931. Before he died, his father left him a broken automaton, and Hugo labors to uncover the secret hidden inside the machine. When Miranda, a young drifter, vanishes after being picked up by a passing stranger following a car accident, no one realizes that she is missing for two months or that her highway rescuer could be tied to rumors of a serial killer stalking young women. Receiving an anonymous tip that promises to lead to the capture of a powerful criminal overlord, Bombay police officer Sartaj Singh finds himself nearing his goal when he realizes that he and the crime lord's imminent confrontation is part of a more sinister, global agenda. By the author of Love and Longing in Bombay. 200,000 first printing. 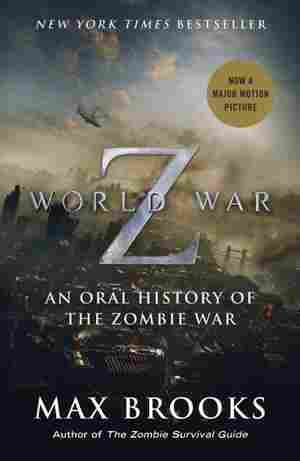 An account of the decade-long conflict between humankind and hordes of the predatory undead is told from the perspective of dozens of survivors — soldiers, politicians, civilians and others — who describe in their own words the epic human battle for survival. During the summer of 1960, fifteen-year-old Lila's life is about to change forever as she escapes the confines of school, her parents' loveless marriage, and her mother's hysterics to spend the summer with her uncle George, a London music teacher preparing to stage an amateur production of a Puccini opera in the town of Burnhead, on the west coast of Scotland. 22,500 first printing. When the body of a local teenager turns up in a community garden, veteran homicide detective Gus Ramone teams up with T. C. Cook, a legendary, now retired detective, and Dan "Doc" Holiday, his former partner who left the force under a cloud of suspicion. The best-selling author of Jurassic Park journeys inside the world of bioengineering and genetics, in a chilling, provocative novel of near-future science run amok, in which a family finds itself in dire straits because of the genes in their bodies. 2,000,000 first printing. Tess Monaghan becomes involved in the investigation into the unsolved murder of a young federal prosecutor when her boyfriend brings home a young street kid who could hold the key to the case and whom Tess agrees to protect, but the killing of one of the boy's friends and federal authorities who will do anything to find the youngster put Tess in the hot seat. While on trial as an accomplice to a murder, sixteen-year-old Steve Harmon records his experiences in prison and in the courtroom in the form of a film script as he tries to come to terms with the course his life has taken. A Coretta Scott King Honor Book. Reprint. 50,000 first printing. Sister Jane, the local Master of the Hunt, and her animal companions take on a feisty, wheelchair-bound bookkeeper, Sister Jane's boyfriend, and a wealthy former hunt club donor as they set out to uncover the mystery of some missing money and a missing body. 50,000 first printing. When the Robie House is marked for demolition, Petra, Calder, and Tommy take action to save the historic landmark, yet ghostly sounds and moving shadows from within make the three friends think that there may be something strange about the special house and so begin to gather additional evidence with their sleuthing skills. 175,000 first printing. A tale inspired by the writings of Tiro, Marcus Cicero's confidential secretary, traces the life of the famous ancient Roman orator and philosopher from his beginnings as a radical young lawyer through his competitions with such figures as Pompey, Caesar, and Crassus in the political arena. 350,000 first printing. Five days after a terrorist attack decimates his home city, Brian Remy struggles with gaps in his memory pertaining to a self-inflicted gunshot wound, a girlfriend whose name he does not know, deteriorating eyesight, and a new job with a shadowy intelligence operation. When a disoriented and strangely familiar figure appears, wanting to write out a lengthy confession, Spokane police detective Caroline Mabry finds herself challenged to investigate a murder and the darkly intertwined lives of two men. Reprint. 15,000 first printing. Beginning his witness-protection job at a doughnut restaurant in the week before the 1980 presidential election, small-time thief Vince Camden finds himself unwittingly embroiled in a local politician's troubles, involved in a credit-card scam, and torn between relationships with a beautiful law clerk and a neurotic prostitute. Reprint. 20,000 first printing.